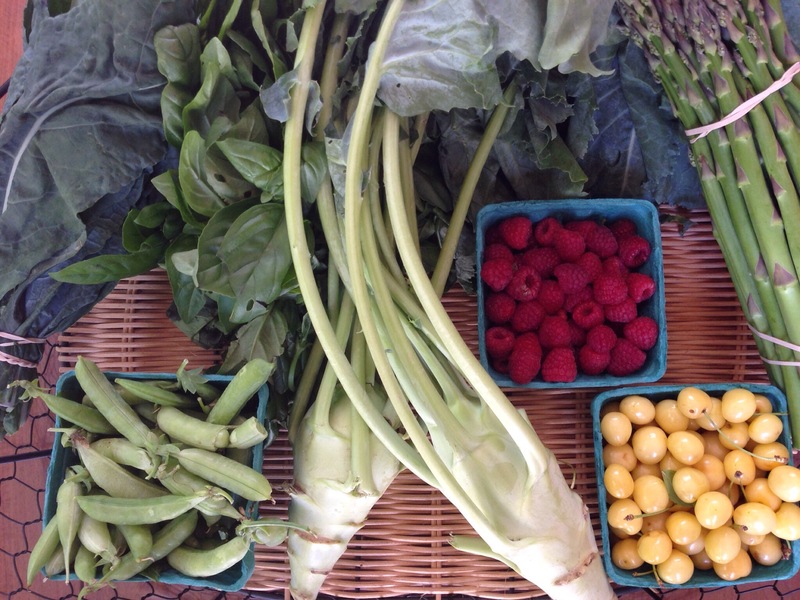 This week I received basil, white cherries, raspberries, kohlrabi, kale, and snap peas. I let my mom keep all the asparagus. This week will be linked to the week of July 12th, coming soon!